The scientist preparing the dogs as part of the program for early detection of Malaria. Cases of Malaria is still prevalent in some parts of the world. In 2015 alone there were an estimated 214 million cases of Malaria worldwide, about 438,000 of the patients died. And scientists believe that dogs are able to sniff the people who were infected by Malaria through their keen sense of smell. 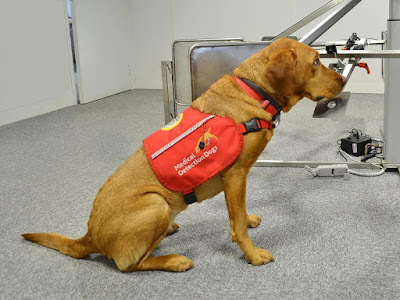 The dogs utilization will benefit, Malaria can be detected more quickly and without going through a variety of tests and save thousands of lives. Dogs can detect the smell that smell almost no smell or identified by the human sense of smell. Previous research showed that dogs have the ability to high accuracy in detecting cancer in humans. 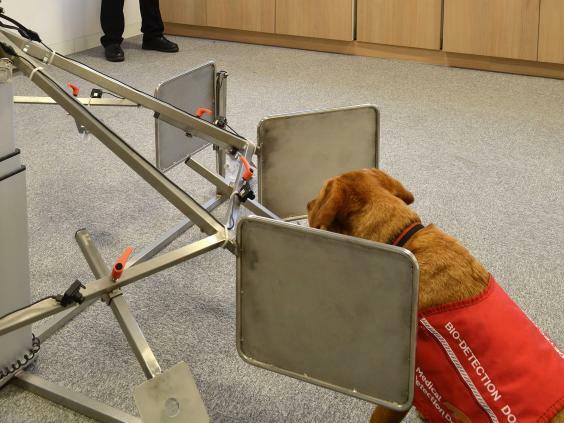 In August last year, the use of dogs to sniff cancer has been approved. Dr. Claire Guest, CEO of Medical Detection Dogs, an animal trainer for medical purposes say, "Dogs have been proven to detect cancer up to 93 percent accuracy. I believe that they can also learn to detect the smell of Malaria." Steve Lindsay, an expert in the development of Malaria control in the School of Biological and Biomedical Sciences at Durham University and chairman of the investigation in this project said, "Patients infected with Malaria parasites secrete specific mouth breath." The smell that is expected to be sniffed by dogs. Dogs can be placed at the entrance as a filter for those who would enter the Malaria-free area. "Using dogs to detect the parasite has an advantage, portable, does not require a laboratory, and can be done directly on the ground. So, we will easily find and treat people with malaria and thus this disease will soon disappear," he said as quoted by The Independent, May 26, 2016.